In our newest report, Illicit Financial Flows from Developing Countries 2001-2010, we look at illicit financial flows–the proceeds of crime, corruption, and tax evasion–leaving the developing world. Illicit financial flows are a type of capital flight, and have been a persistent plague on the developing world for some time now. Our new report will be released on Tuesday morning. But for today, I want to focus more narrowly on Zambia, one of the poorest nations on earth and one of the clearest examples of the damage caused by both illicit and licit capital flight. Our research finds that $8.8 billion left Zambia in illicit financial flows between 2001 and 2010. Of that, $4.9 billion can be attributed to trade misinvoicing, which is a type of trade fraud used by commercial importers and exporters around the world. Find out Zambia’s rank on the Corruption Perceptions Index 2012, and how many of the world’s biggest companies disclose their tax payments in Zambia. This is a very serious problem. 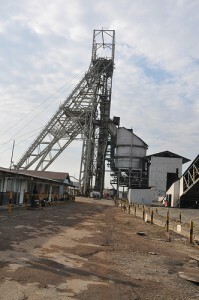 Zambia’s GDP was $19.2 billion in 2011. Its per-capita GDP was $1,413. Its government collected a total of $4.3 billion in revenue. It can’t afford to be hemorrhaging illicit capital in such staggering amounts. In previous reports, we’ve proven that illicit financial flows drive the underground economy. This means that as criminals and tax evaders avoid law enforcement and move their money overseas, it becomes easier for them to operate in Zambia. The undergroundeconomy becomes bigger, which makes it even more difficult for Zambia’s government to collect taxes. This in turn drives illicit financial flows further, completing the vicious feedback loop. The type of tax avoidance that Minister Sampa is referring to will not be picked up by our illicit financial flow estimates, both because the activity is not explicitly illicit and because it occurs between two branches of a multinational corporation, and therefore isn’t reflected in the IMF Direction of Trade statistics that we use to calculate illicit financial flows. Tax revenue loss from capital flight means less to spend on not only education and transportation infrastructure, but also on fighting HIV/AIDS, providing clean water, and generally building up society. It means more money has to be borrowed from abroad, and it strains aid budgets. If Zambia were to collect an extra $2 billion per year in revenue from curtailing both illicit financial flows and legal tax avoidance, they could increase their government’s budget by 46%. But on top of the tax revenue lost, the Zambian people need Zambian wealth to stay in Zambia. When a mining company moves money out of the country instead of paying corporate tax on earnings, it drains much-needed capital from the economy. Money that stays in the country will provide a compounding boost to the Zambian economy every single year, as it will be invested in the private sector. Zambia has the natural resource wealth to dig (literally and figuratively) its way out of poverty, but only if the West acts at the same time. Zambia can’t do this alone. The extra money could be siphoned off to the offshore bank accounts of corrupt public officials, or companies could find new ways to legally pretend that their profits were made elsewhere. The global shadow financial system–a network of secrecy laws, tax havens, shell corporations, and banks like HSBC without real money laundering controls–facilitates both illicit financial flows and pernicious corporate tax avoidance. We need to break this system down. We can start by reforming international customs and trade protocolsto detect and curtail trade misinvoicing and requiring the country-by-country reporting of sales, profits and taxes paid by multinational companies. Sarah Freitas is an Economist at Global Financial Integrity in Washington, DC and a co-author of “Illicit Financial Flows from Developing Countries over the Decade Ending 2009,” a December 2011 report from GFI.